"Where's my Jack Daniels?!" screams out Kenny Graham just before their new venture opened up to a long queue of patrons. Each staff member did a shot of JD and it's Rock n' roll from then onwards! 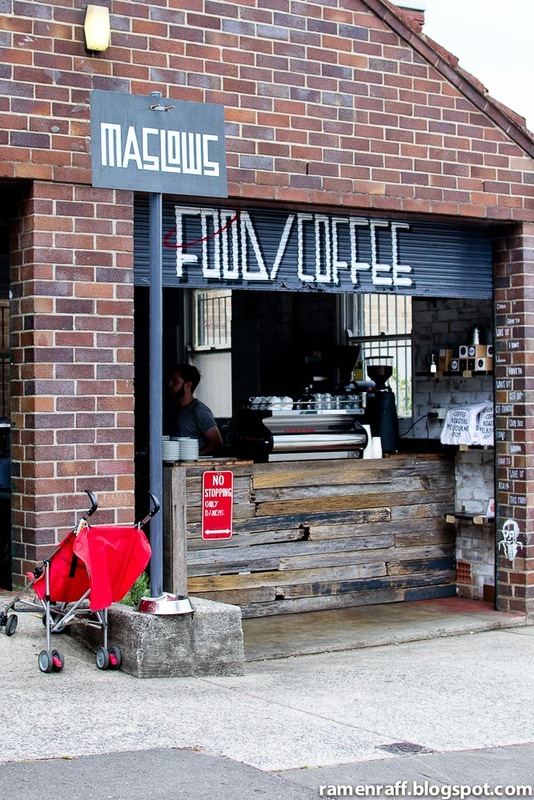 The almighty Mary's of Newtown does not need introduction. 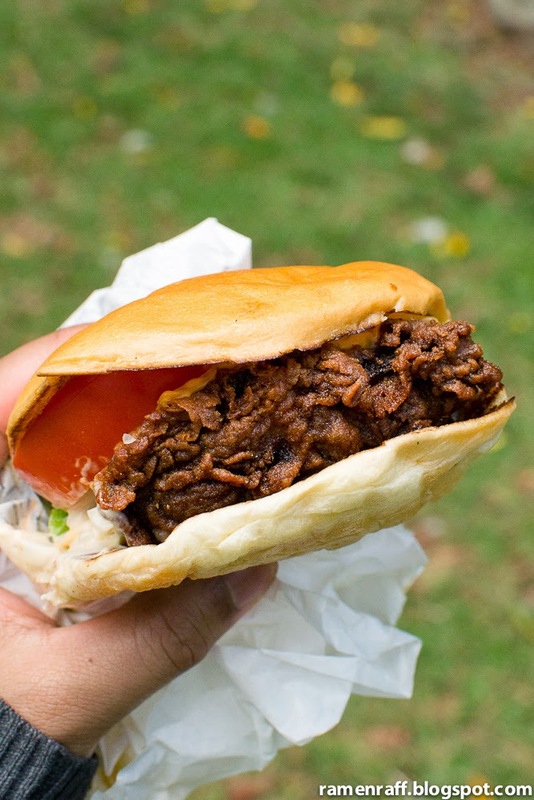 We all know they serve some of the best lip-smacking burgers and fried chicken in town. 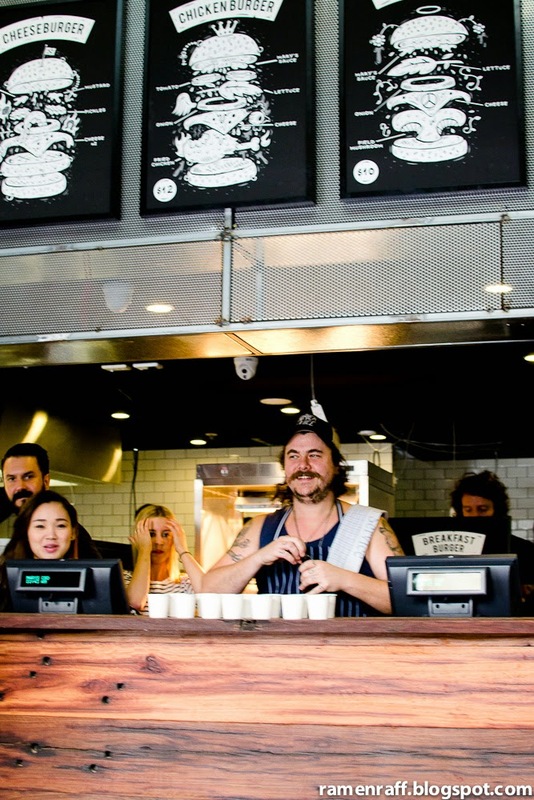 But what y'all need to know (if you haven't heard yet) is that the owners Jake Smyth and Kenny Graham has just extended their kingdom and opened Mary's Takeaway in the CBD. 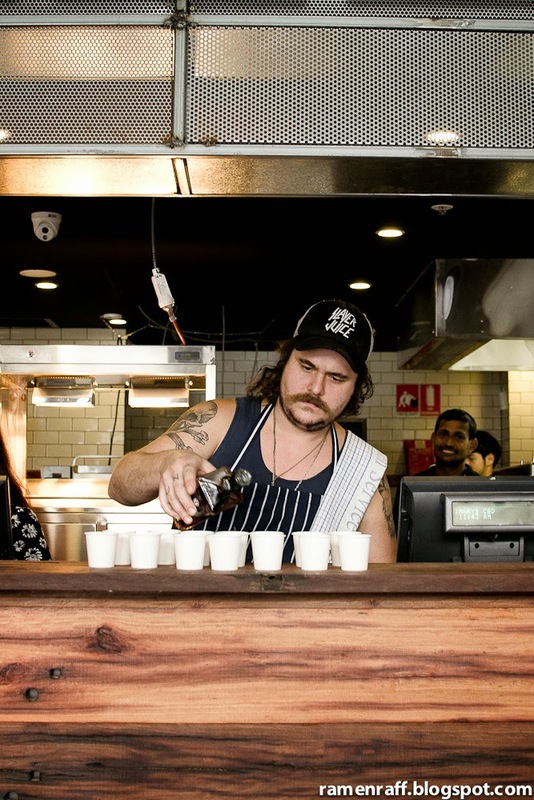 Jake Smyth about to pour them JD shots! 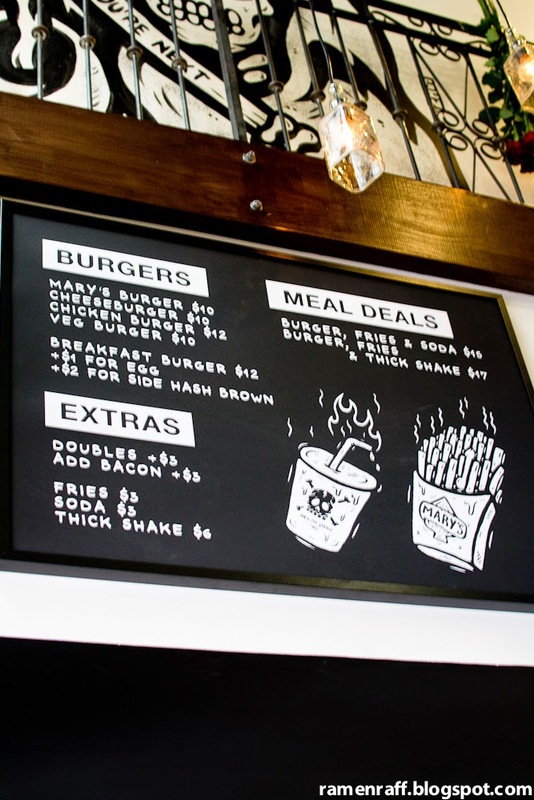 The first burger I had was a double cheeseburger with bacon ($10 for single patty cheeseburger, plus $3 for extra patty and another $3 to add bacon). 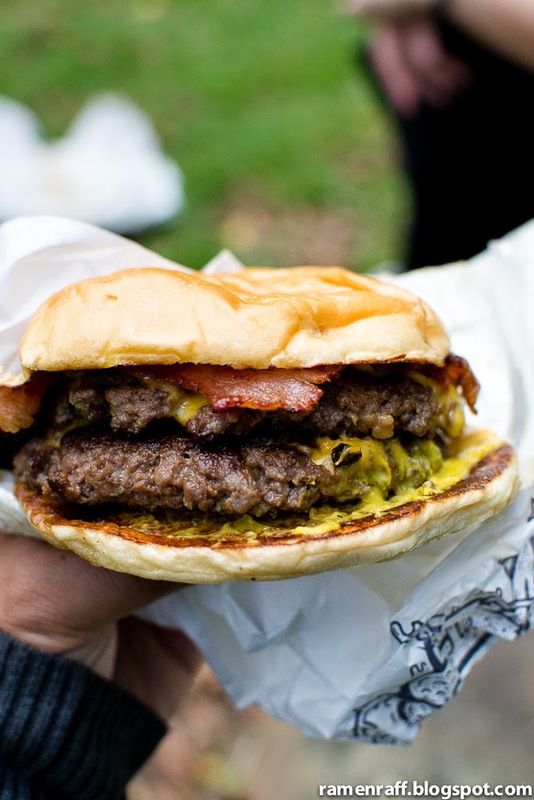 Double the patty also doubles up the juiciness! 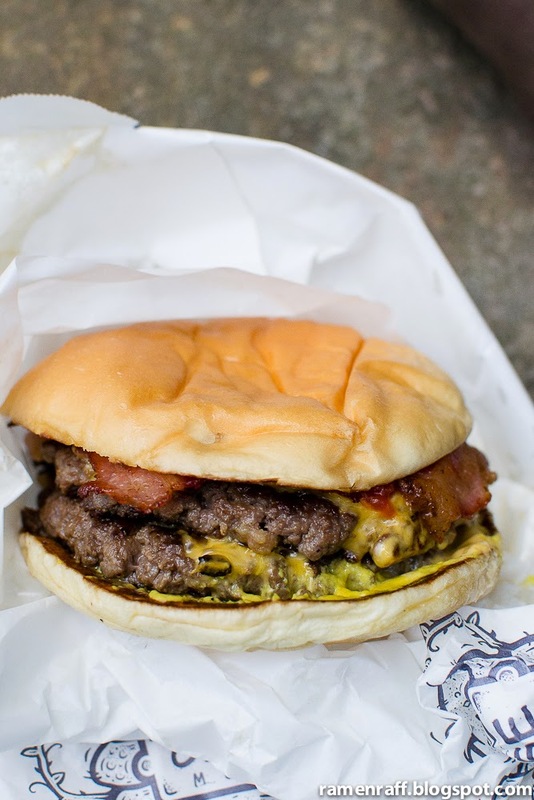 The bacon adds a smoky goodness to the burger. They do a proper classic version with beef patty, American cheese, pickles, onion, ketchup, and mustard. 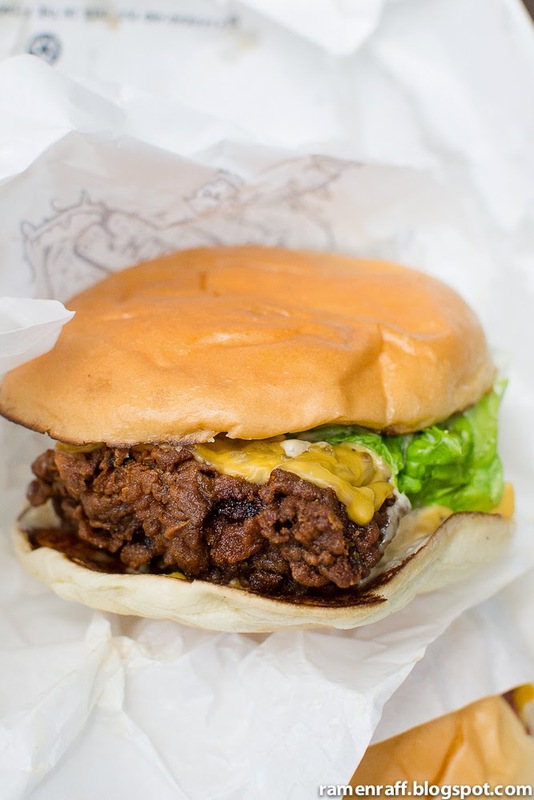 This burger bursts with the meaty, sweet and tangy flavours I love in a cheeseburger. 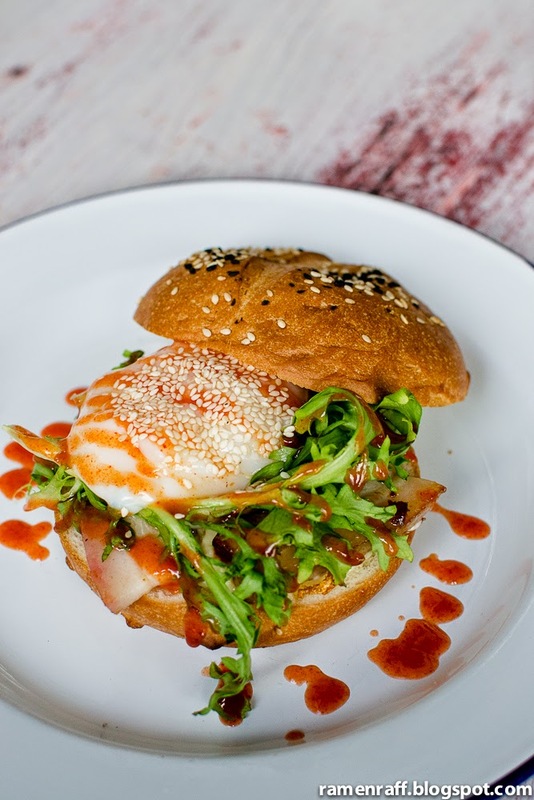 The patty is cooked smashed-style where a caramelised crust is created and the juiciness is well kept in the flavoursome patty. Most importantly, the cheese is melted and the bun handles the fillings well. Check out the rippled crunchy buttermilk batter! Then there's the chicken burger ($12) which contains a Southern style boneless buttermilk fried chicken, lettuce, tomato, American cheese and Mary's sauce. I really enjoyed the contrasts of texture of the fillings but the fried chicken is the star! The buttermilk batter was extremely crunchy and the meat was amazingly succulent. The Southern-style spice mix was so potent that you could taste the balanced flavours of cayenne pepper, paprika, garlic powder, black pepper etc. It was a brilliant burger overall. 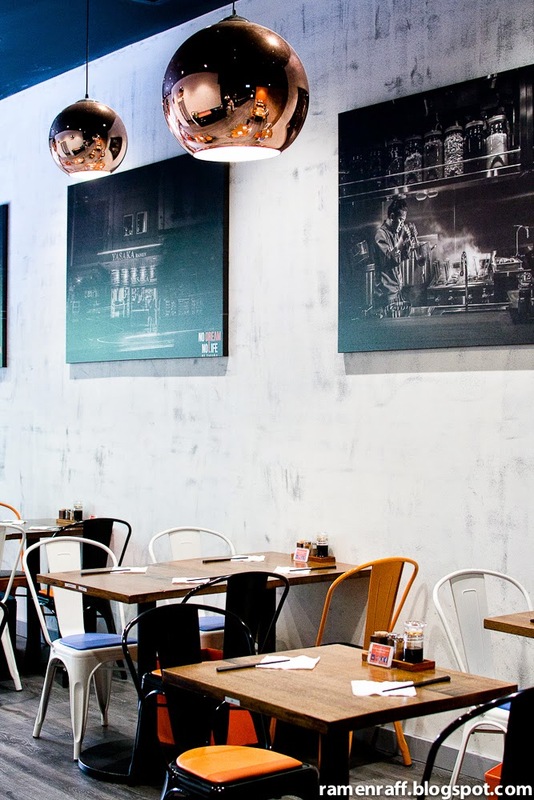 It's still the Mary's we love but minus the booze, more emphasis on burgers and is more accessible within Sydney's concrete jungle. 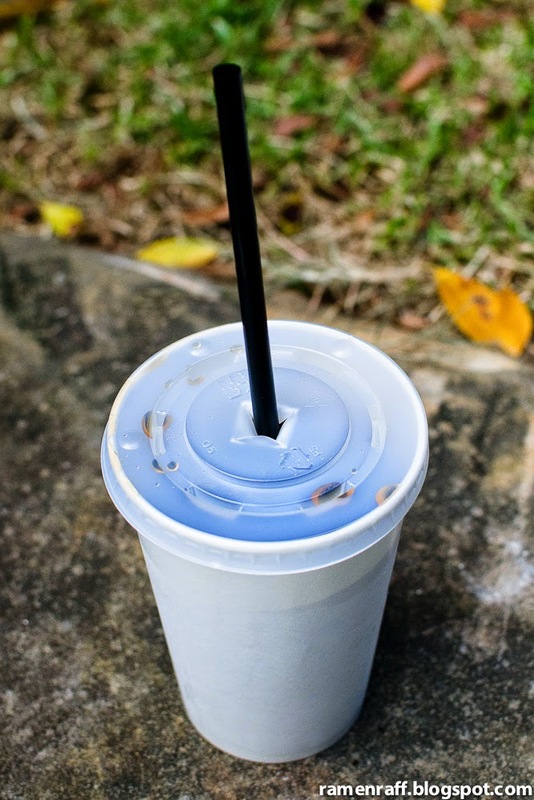 I can't wait to try the thick shakes on my next visit! Doughnuts are a classic treat I will never get sick of. Sugar glazed and chocolate frost glazed American-style ring doughnuts are my absolute favourite. Back in the days, my cousins and I grew up in Manila with so much love for Dunkin' Donuts. I could devour eight doughnuts in one sitting. I was an eating machine back then and remnants of that eating capacity still exist. 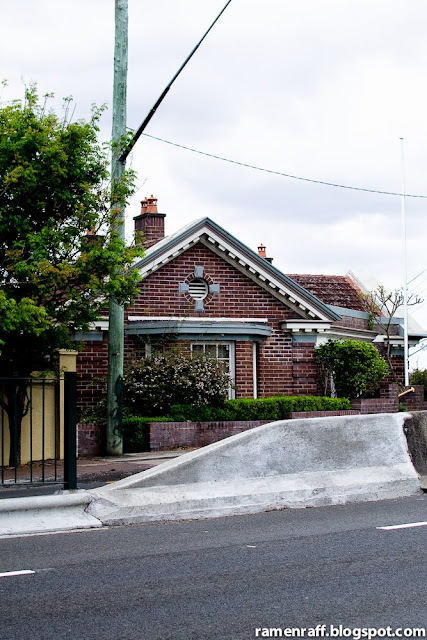 Anyhow, the popularity of doughnuts is back and we've recently seen this happening in Melbourne. 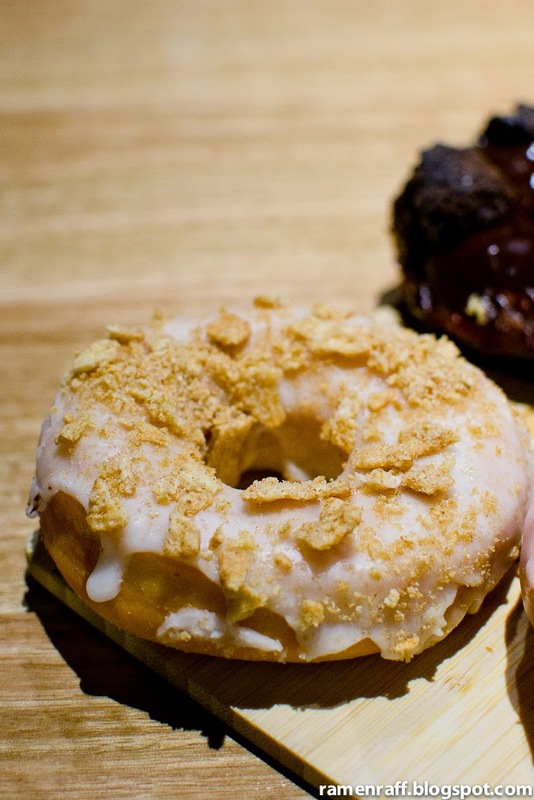 My favourite out of all their current flavours is the sticky date doughnut ($4.50). It's the perfect marriage of butterscotch glaze and medjool dates. It is very addictive! The butterscotch is Candy's grandma's recipe. 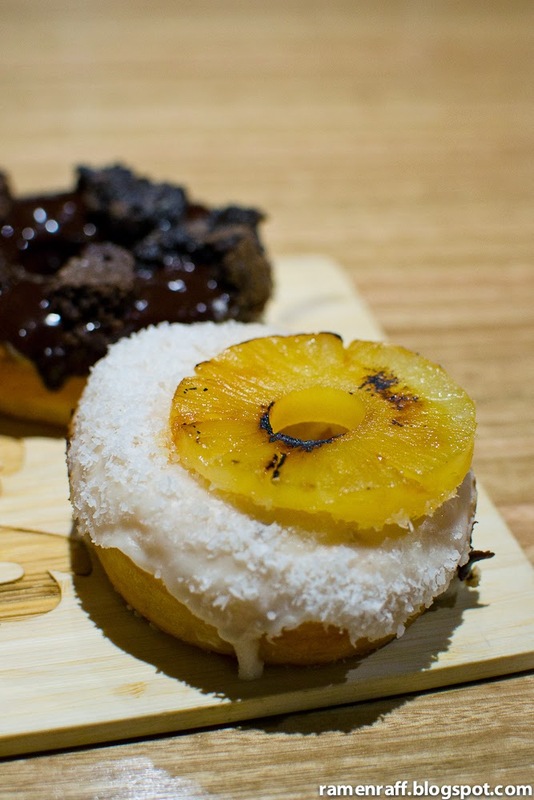 The piña colada doughnut ($4.50) also amazed me! It really reminded me of a piña colada drink with the combined flavours of caramelised sailor jerry soaked pineapple and coconut dusting. 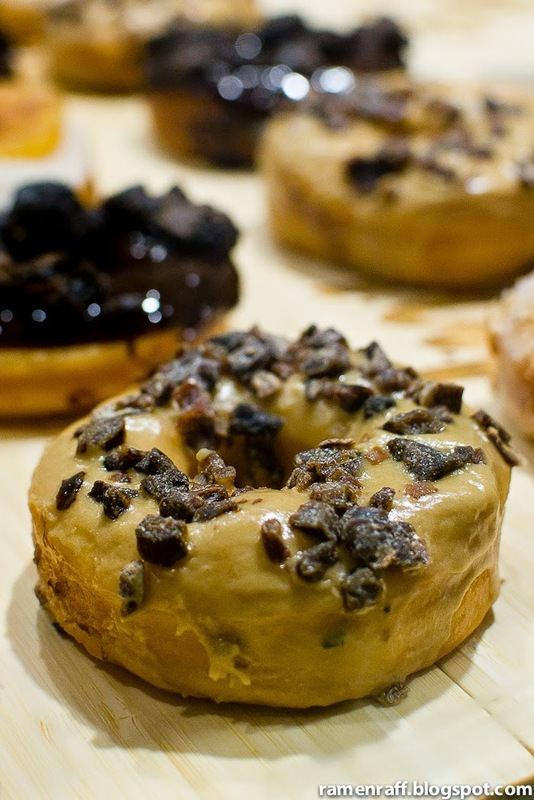 The vanilla bean glaze is the pefect base flavour component that completes the awesomeness of this doughnut. The peach cobbler ($4.50) was a very summery flavour doughnut. The white nectar peach glazed with crumble was a nice combo. The hidden sour peach gummie within the doughnut was such a treat! 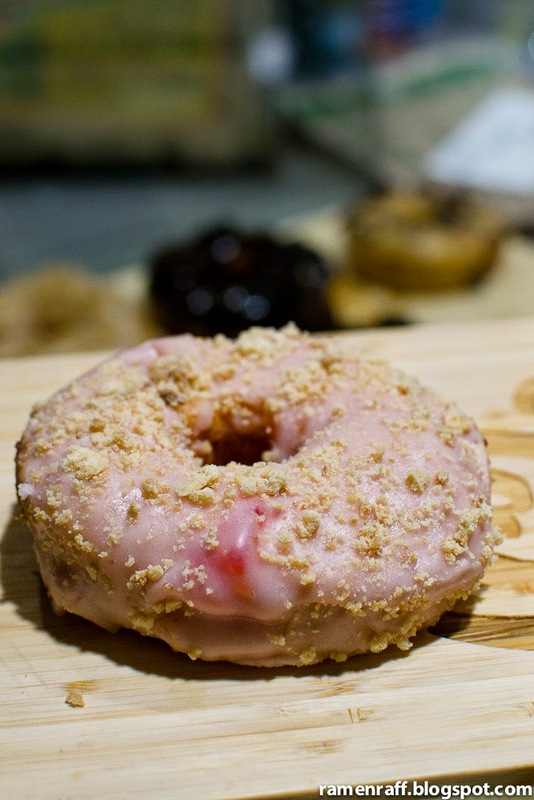 The cereal milk doughnut ($4.50) was also nice with its cereal milk infused glaze and crushed cinnamon toast crunch cereal. 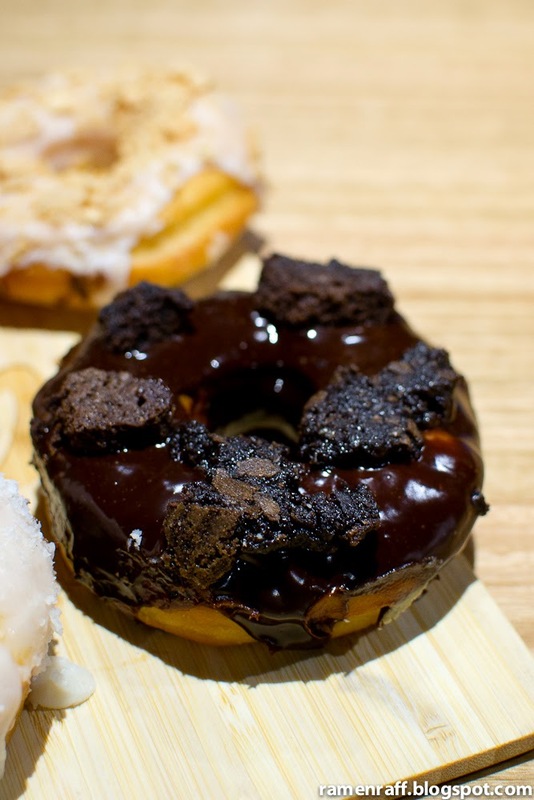 Last but not least is the chocolate brownie doughnut ($4.50). I like the pieces of fudge brownie on top of the doughnut but it was the luscious dark Belgian chocolate ganache that got my attention. It was a perfectly balanced chocolate ganache glaze that had a subtle sweet notes and with no dark chocolate bitterness as well. 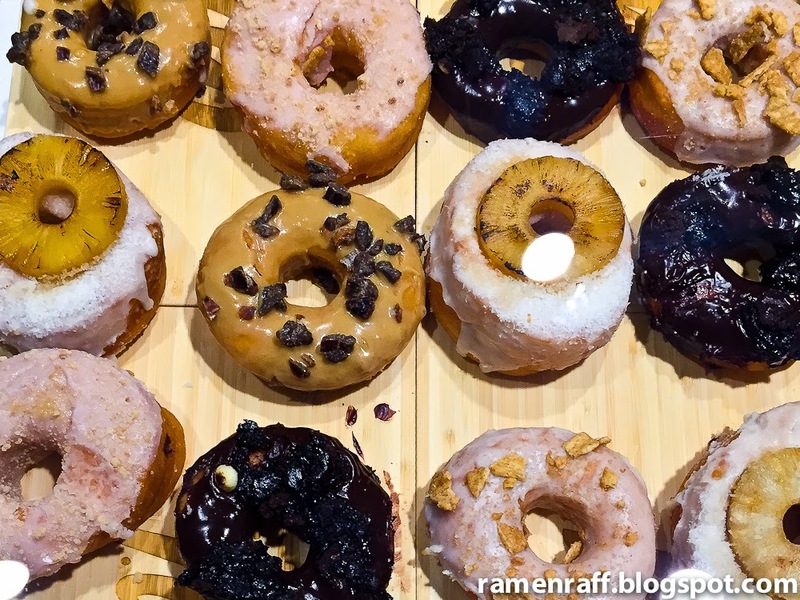 I can sum up Glazed Hand-Crafted Doughnuts in three words: classic, innovative, and LEGIT. I'm super excited to try all their upcoming flavours. 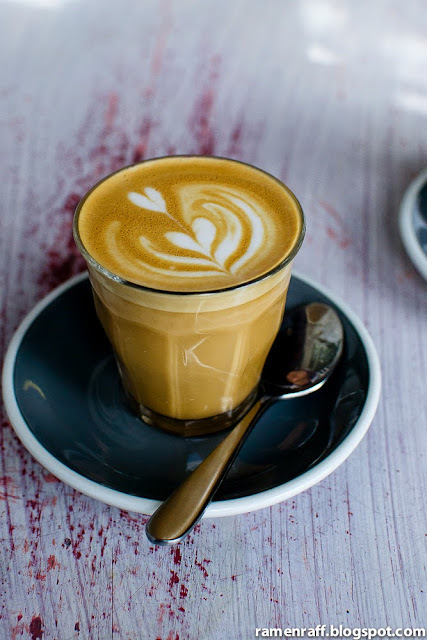 There are three things that I personally look for in a cafe: a "down to earth" feel, seasonal approach to their menu and they handle coffee with respect. 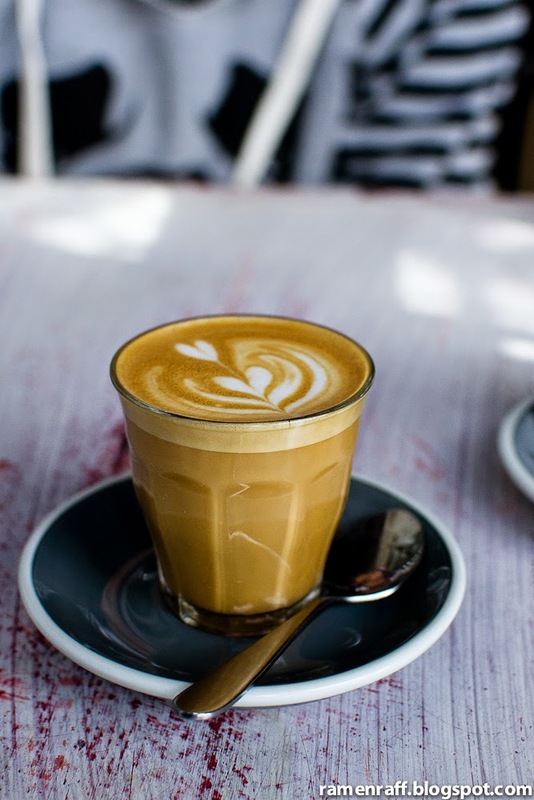 It all starts with an excellent cup of coffee and everything else falls into place. That's how it is with the new Maslow's in Pymble. It's a garage converted to a specialty cafe. 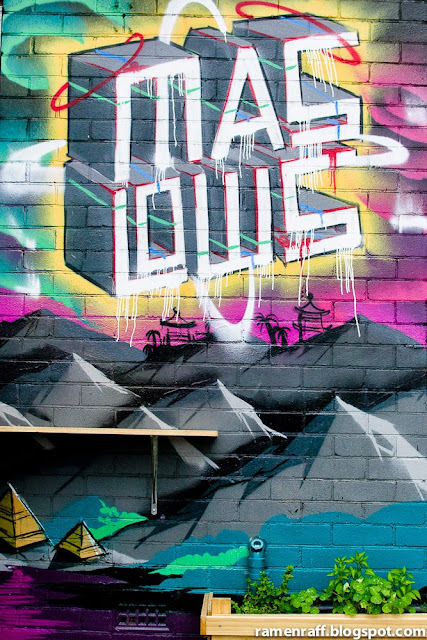 It's got the whole hipster look with a warm pleasant vibe. The beans used for their espresso-based drinks are sourced from Seven Seeds and Drop Coffee Roasters (a Dutch Roaster) is used for their filter coffees. Chocolatesuze and I decided to check them out a few weeks back to see what the rave reviews were all about. First thing's first, we ordered some caffeinated beverages starting with a piccolo latte ($3.50). 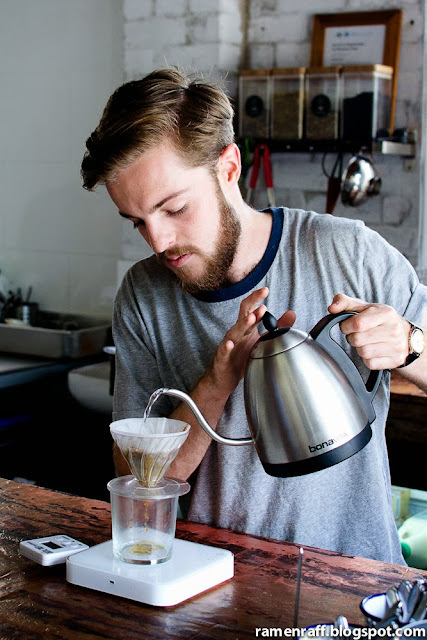 Tom (head barista) got the milk temperature spot on which allowed the flavours from Seven Seeds seasonal blend to shine. It was a blend of Guatemalan and Ethiopian beans. It had a medium to full body with fruity, mild chocolate and light spice notes. 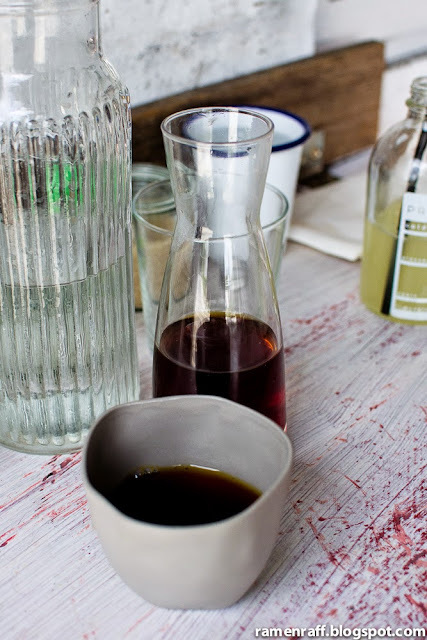 We also tried a pour over filter coffee ($5) from Ethiopia Hunkute (roasted by Drop Coffee). It was aromatic and it had a medium body with notes of jasmine and grapefruit. The Mr Pig ($10) was a brioche roll with braised pork, 62 degrees celcius egg, and baby salad. The brioche was not as fluffy as I'd hope it would be but it was still buttery. The braised pork had a delicious sweet and bacon-like flavour. The Draco Mille Feuille ($17) was such a delicate and pretty looking dish. It had 62 degrees celcius egg, black pudding, grilled onion reduction and wafer flaky pastry. The reduction had a nice sweet and buttery flavour. 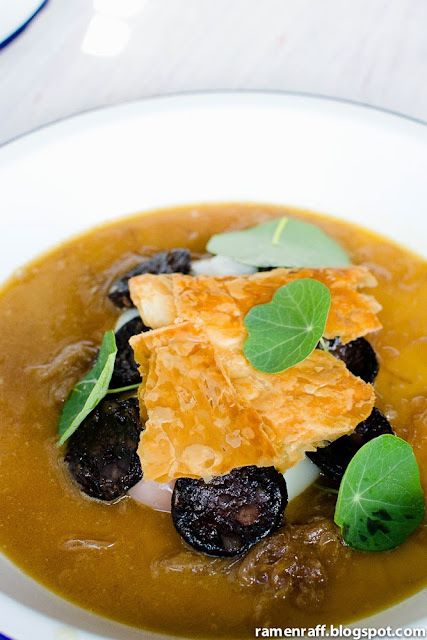 The black pudding (blood sausage) was the star of this dish with its slightly tangy ham-like flavour. A slice of sourdough bread would be a perfect side to absorb and scoop out all the grilled onion reduction goodness. 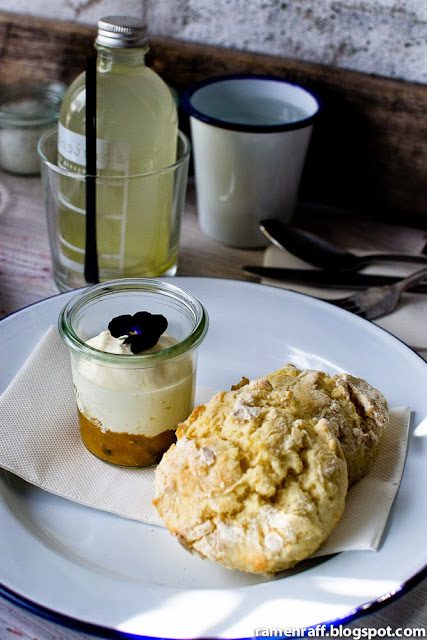 Victoria's secret ($10) - scones with passion fruit and cream. The Cheeky frolick ($25) was my favourite out of all the dishes we've tried. 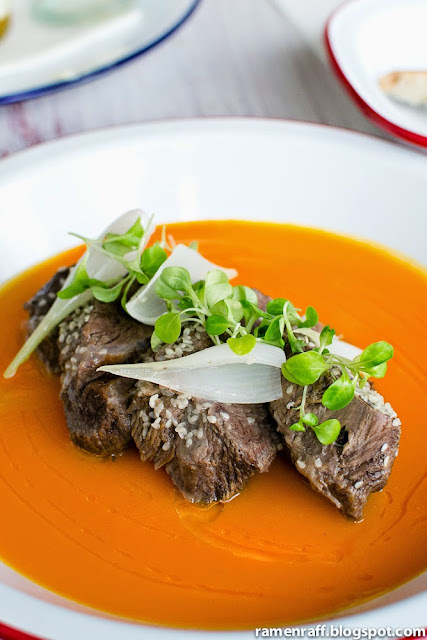 It had Northern Rivers braised beef cheeks, carrot and miso. The beef cheeks itself were absolutely tender, juicy, rich and flavoursome. The carrot miso component had consistency of somewhere in-between a pureé and sauce that was creamy and sweet. It came with slices of sourdough (sourced from Sonoma) to scoop out the carrot miso. 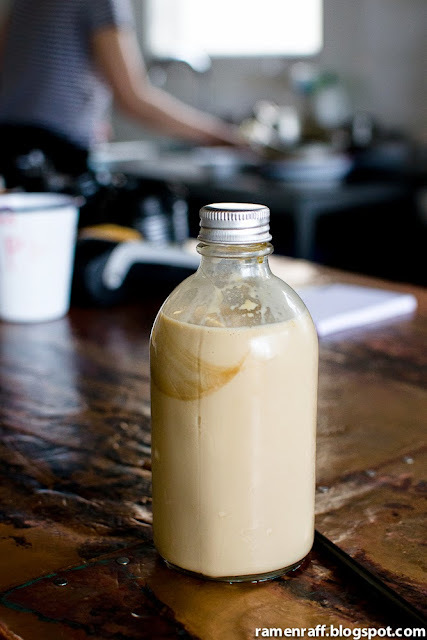 I also bought a takeaway of their bottled iced coffee. The sweet notes from the Seven Seeds blend were pretty radiant. I really enjoyed our visit at Maslow's. 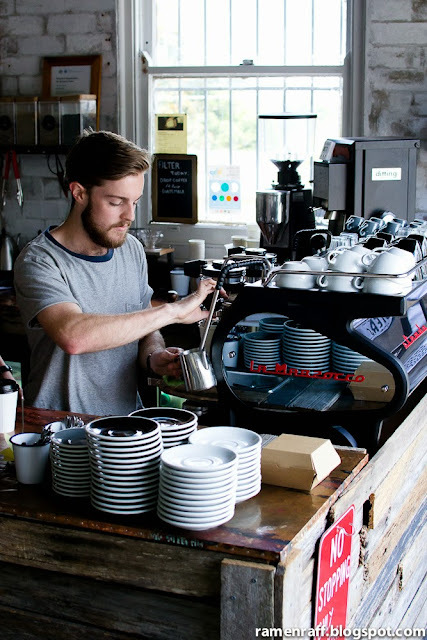 It is an all-round cafe with top-notch coffee and excellent honest comfort food. I'm looking forward to what they will come up with soon especially for the next season! 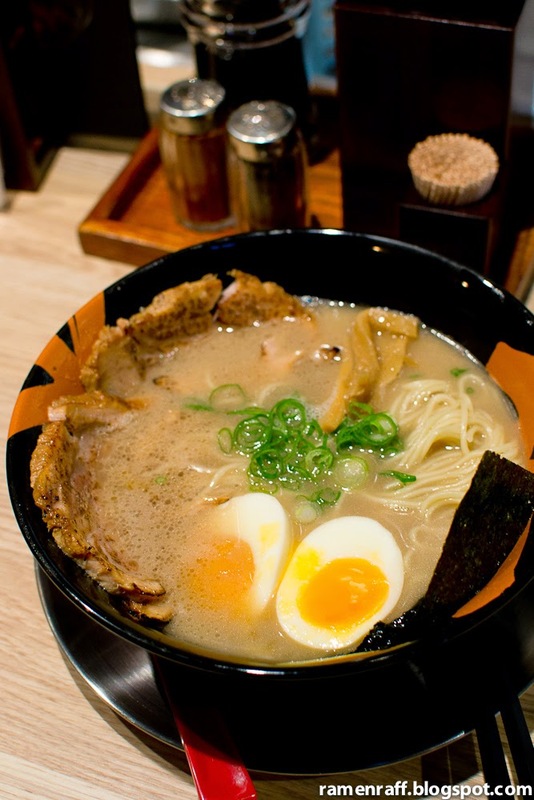 One of the things that bring happiness to the Ramen Raff household is the power of tonkotsu ramen. 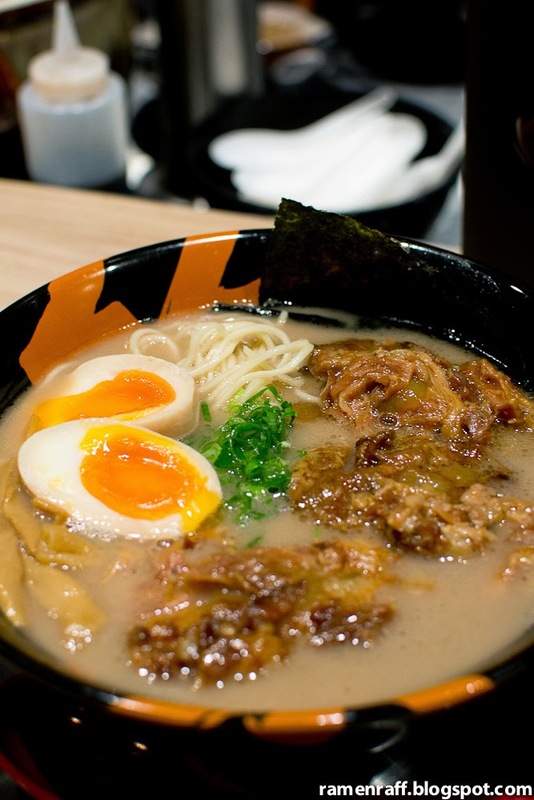 It's our ramen of choice and a dish close to our hearts. It is also the dish that gave life to this blog. 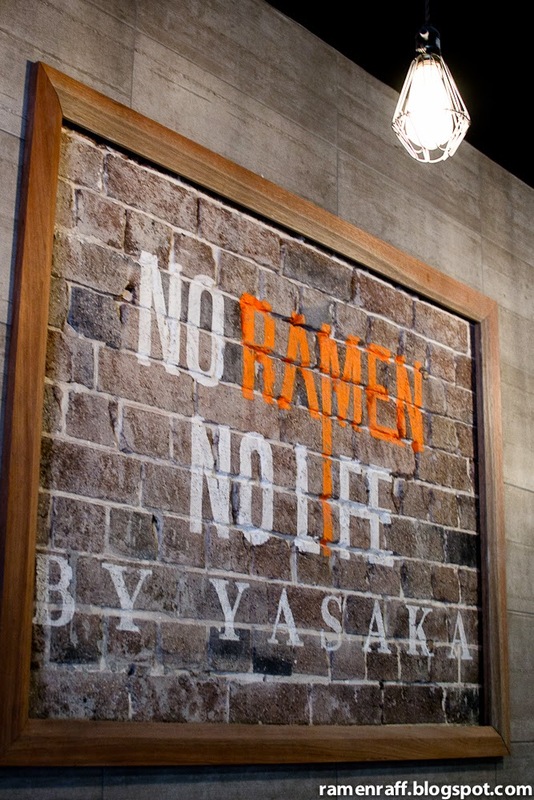 We feel strongly about the quote "no ramen, no life" and so does the new Yasaka Ramen. 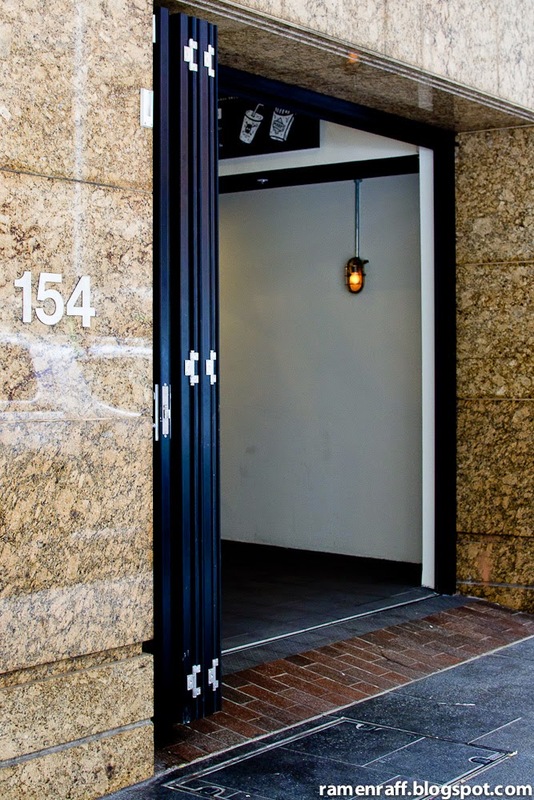 This latest addition to the Sydney ramen scene is located on Pitt Street in the CBD. 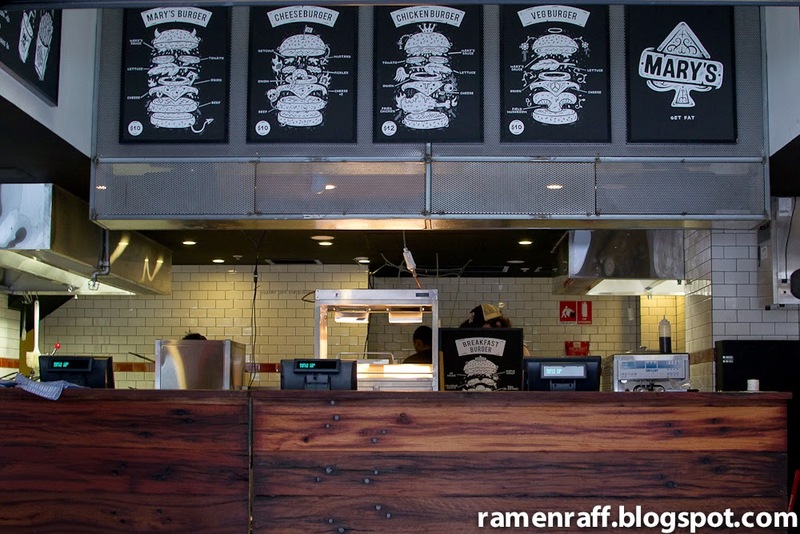 It's a modern ramen bar with an industrial fit out. You can sit by the bar area and watch the kitchen like a culinary stage show. The dining area upstairs has more of a chillax vibe with tables for two and groups of four to six available. 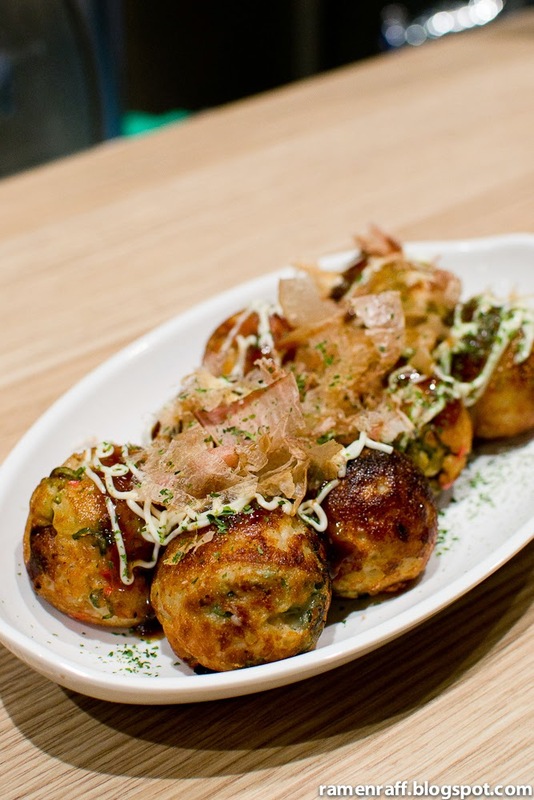 The menu mainly consists of tonkotsu (pork bone) broth based ramen, takoyaki, some popular Japanese snacks and beverages. I've been eyeing this place in the last two weeks. But it's a blog post from Chocolatesuze that convinced me to check them out as soon as possible. On my first visit, I was so stoked to find that Yasaka's head Chef is Takeshi Sekigawa who I knew back from his Gumshara days. 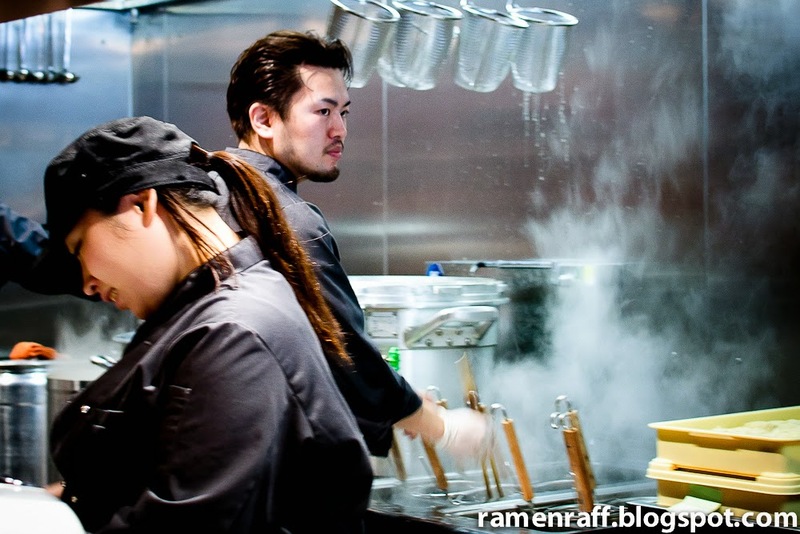 Takeshi-san worked at the renowned Gumshara Ramen under the tutelage of Chef Mori Higashida. He worked there for a while as Mori-san's apprentice before taking up his head chef gig here at Yasaka. Having that in mind, I knew I was in for a treat! The first bowl of ramen I tried was the grilled chashu ramen with shoyu tonkotsu broth ($14.80). Amongst the toppings were bamboo shoots, nori, chopped spring onions and chashu. The housemade noodles were perfectly cooked and were firm to the bite. The broth was rich with an amazing robust pork flavour. It's not gravy like but definitely thicker than most tonkotsu broths. The addition of soy sauce (special blended soy sauce paste is used here) is a classic finishing touch to most tonkotsu broths. Adding shoyu to the broth gave the flavour more depth and complexity. The flavoursome chashu was astonishingly "melt in your mouth" tender! The slices of meat were lightly grilled for extra caramelised meat flavour with a blow torch just before they were served. The hanjuku tamago or Japanese style soft boiled egg (extra $2) was perfect with its velvety molten-like runny yolk and a softly set egg white. Their iced green tea latte ($4.50) was an absolute treat. 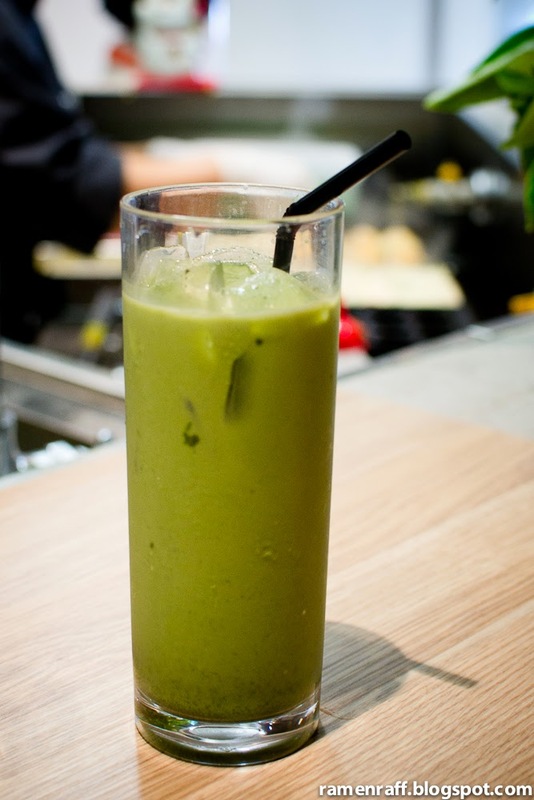 It was milky and sweet with nice amount (but not overpowering) of earthy matcha flavour. On my second visit, I opted for a kakuni ramen with shio tonkotsu broth ($17.80). The toppings inluded were nori, bamboo shoots, spring onion, fungus and a slab of soft bone pork ($2 extra for soft boiled egg). Sea salt is added to the rich lip smackin' tonkotsu broth. They have adjusted the broth this time around and have given it a thicker consistency. The salt enhances the flavour without making it too intense. The sweet kakuni pork was incredibly tender that the meat starts to fall apart as soon as it is lifted from the broth. 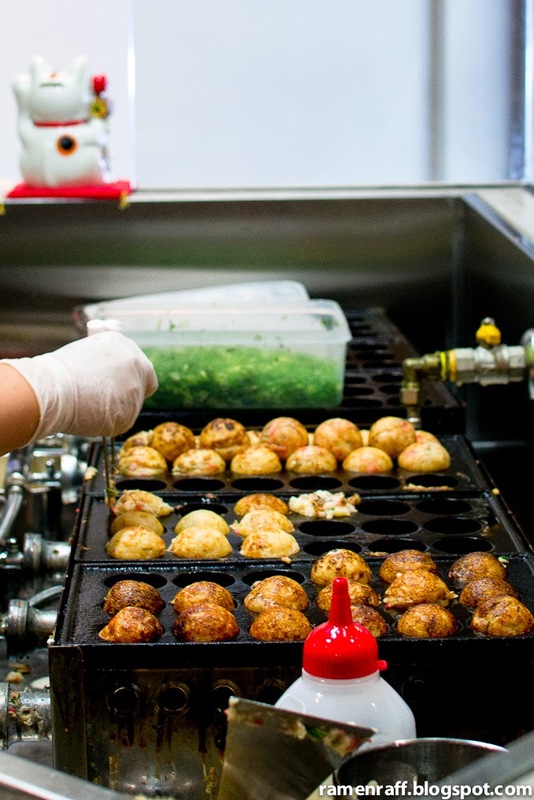 I also got to try their takoyaki with special sweet sauce (4 balls for $6 and 8 balls for $10). These croquette-like morsels had a nice crisped shell that's complimented by a special syrupy sweet sauce. It had flavoursome mushy innards with perfectly cooked octopus meat. As the menu description says, "once you've tried it, you will love it. I totally agree! 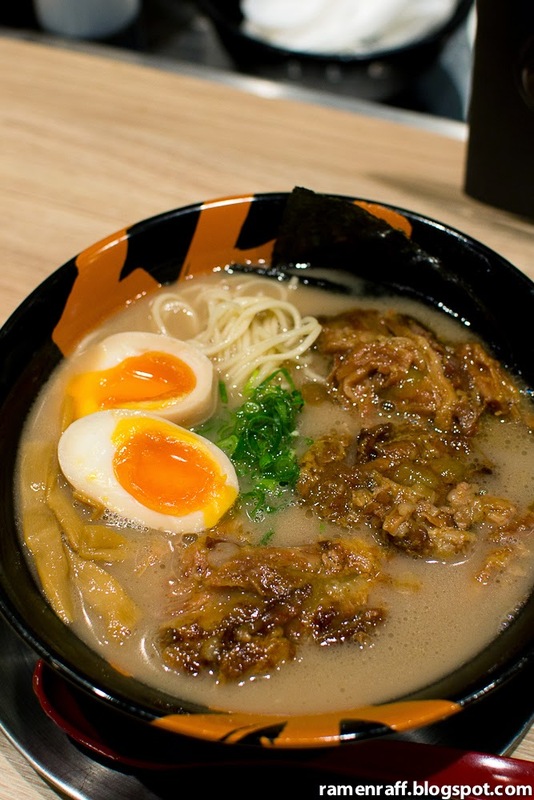 Chef Takeshi's personal twist to his ramen preparation, tonkotsu broth and toppings are quite remarkable. 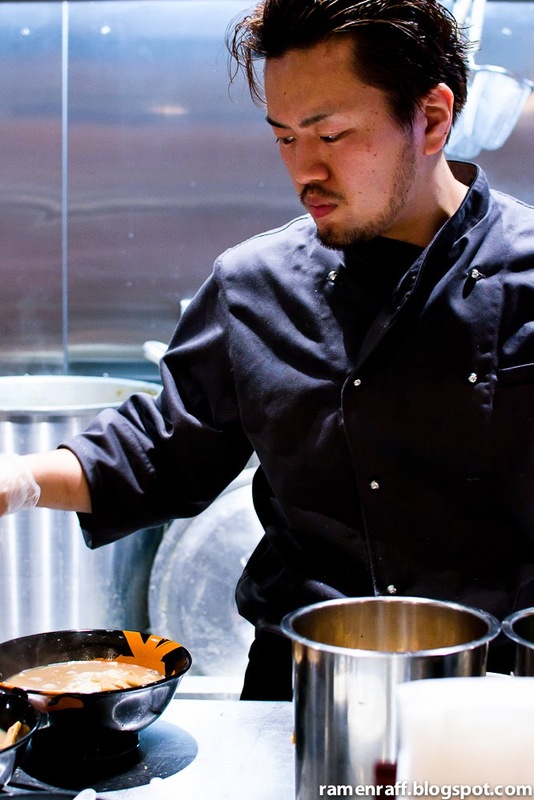 His precision and technique is reflected in each bowl of ramen. 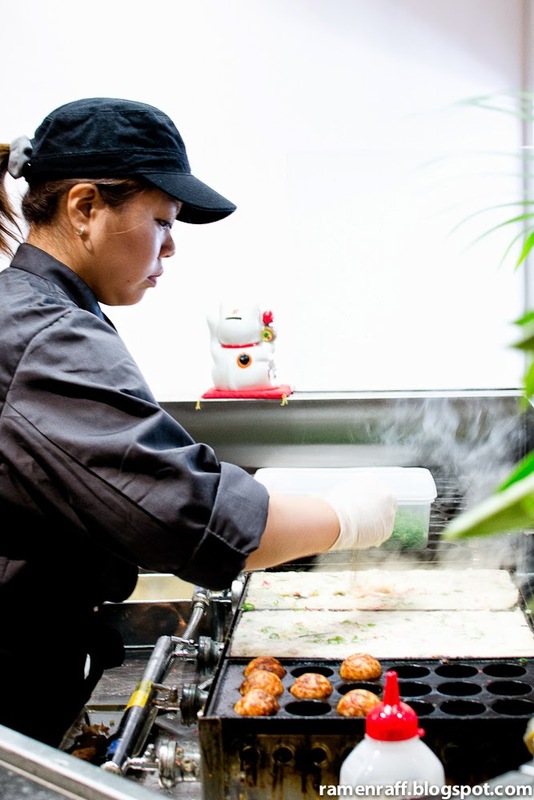 Their in-house made noodles and awesome pork toppings are exceptional! 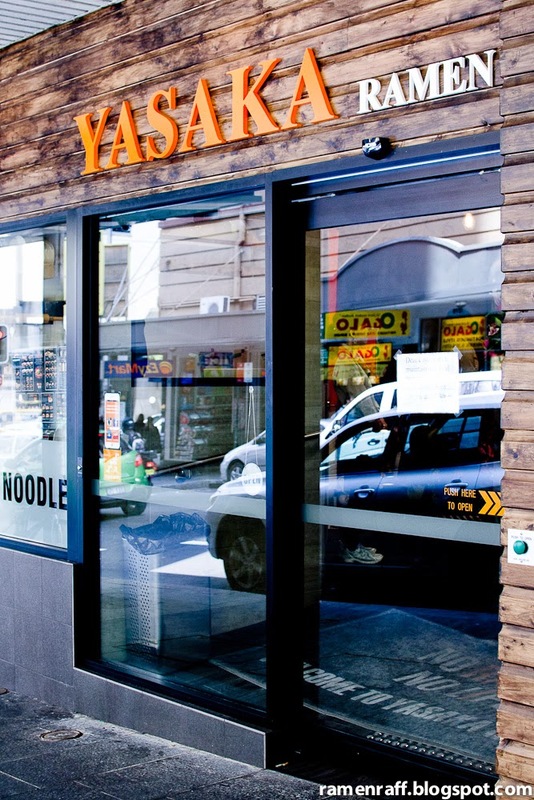 Yasaka Ramen will be another force to be reckoned with in the Sydney ramen scene.